As a young boy, I was sent away to Military School and there began my journey on discovery of what makes a good leader, and what does not. Of course we had to study many of the great leaders of history, but more importantly, when put into positions of power, I discovered that just having rank, did not necessarily give your power over individuals. From that time until now, I have realized that in order to get anything done, and done well, involves leadership, and being a boss is no exception. Of course, good bosses have strong organizational skills, are smart, creative, have solid decision-making skills and they get things done; exceptional bosses have that and something more. It is not the what, but the how, that make good bosses great bosses. It is how they take care of the people around them, the esprit d corps they create, the joy they bring to any endeavor and the passion they instill to all they meet. Great leadership makes ordinary people into extraordinary people, and being a great boss is no different. Yes, a good boss can hit the numbers consistently, but a great boss will make you feel like you can conquer the world no matter what obstacles are in your way. I am a big believer in what separates people’s success is leadership. And being a great boss is all about mastering leadership skills, and leadership is all about what you can do for the people who work for you. Every endeavor, large or small, rises and falls on leadership. 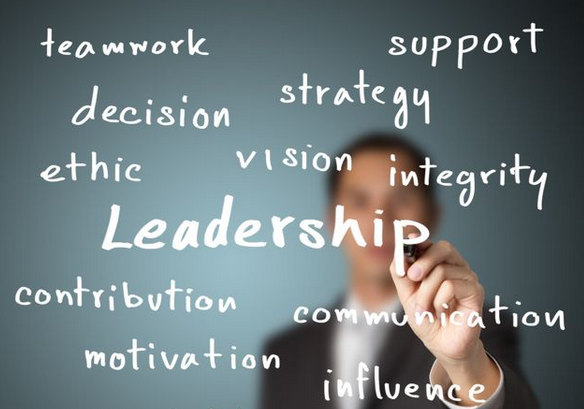 “The ultimate leader is one who is willing to develop people to the point that they eventually surpass him or her in knowledge and ability,” as Fred A. Manske Jr. said some time ago. Still, an exceptional boss does not see it as a popularity contest, but does recognize that their success is directly tied to the people that work with him/her. In this article, I will list what are the “10 things” an extraordinary boss gives or does to develop and promote others and sets them apart for all those other bosses you wish you never had, and we ALL have had a few of them. I like to say a great boss gives love, yes, love, and what is love but giving freedom and power, not extract control and possession. This might seem like an odd concept in the button down world of corporate America, since most organizations are built on optimizing profits, processes, efficiencies and procedures. They are about the tangible, and I am talking about an intangible. While a skilled boss can maximize the tangibles better than most people, they trust the fact that micromanagement is the worst thing you can do to promote those around them. Employees are best engaged and empowered when there is a large sense of trust, autonomy and independence. Elements that are essential in, well love. Bosses that expect conformity and toeing the corporate line may initially get short term goal results, but as John F. Kennedy said, “Conformity is the jailer of freedom and the enemy of growth,” and over the long haul, those gains will be lost to employee dissatisfaction. True autonomy and freedom breeds innovation, even in heavily process-oriented industries like manufacturing and piece part assembly. No matter what the task, people can always find a more eloquent way to do a thing if they are given some incentive or an environment to do so. So, a great boss first and foremost trusts himself and has the confidence to trust those around him. This trust is then imparted to her employees by giving them the autonomy and independence to work the way they work best, not the necessarily the way she (the boss) does, and those empowered employees will find ways to do their jobs better than possibly could have been imagined. A great boss really does walk the talk. Vince Lombardi, the fabled football coach once said, “If you'll not settle for anything less than your best, you will be amazed at what you can accomplish in your lives.” A great boss gives her best all the time, and leads by example. She will not expect an employee or colleague to do anything she would not do. At the same time, she accepts responsibility for failures, and understands all people makes mistakes, but will not tolerate excuses, but will appreciate appropriate corrective action and effort. In addition, as Arnold Glasow stated, “A good leader takes a little more than his share of the blame, a little less than his share of the credit.” An exceptional boss is willing to give undo credit to others when there is success, and take the responsibility when failure does happen. As Henry Ford said when asked about the difficulties in starting Ford Motor Company, “Obstacles are those frightful things you see when you take your eyes off your goal.” And while a good boss realizes that real autonomy and independence is important in every job, but without clear stated goals and expectations most employees would be like a ship adrift on the sea. A great boss sets specific achievable goals and a gives a clear vision of how those goals can be achieved, and encourages those individuals to do so. And of course, change happens! When an exceptional boss changes, a goal, or a standard, or a deadline, or a guideline, she communicates the change beforehand. And when that is not possible, she takes the time to explain why she made the decision she made and what she expects in the future. One of the most important aspects of being a great boss is setting goals that stretch a person, but at the same time are achievable. As Harriet Braiker says, “Striving for excellence motivates you; striving for perfection is demoralizing,” is probably the best way of saying that setting a goal that is out of reach, can have the opposite effect. Almost everyone is competitive; and you will find often the best employees are extremely competitive, especially with themselves. Meaningful targets can create a sense of purpose and add a little meaning to even the most repetitive tasks. Plus, stretch goals can be exhilarating. Without a meaningful goal to shoot for, work is just well, work; and no one likes just working. Still, a great boss will remember the wisdom of Thomas Aquinas, “If the highest aim of a captain were to preserve his ship, he would keep it in port forever.” You need to discover new lands if you want to get anywhere and be successful. An exceptional boss is one who makes work more like a pirate adventure than an trip on the Bounty. President Richard M. Nixon has a great quote about purpose, “Until he has been part of a cause larger than himself, no man is truly whole.” Everyone likes to feel a part of something bigger than themselves. Everyone loves to feel that sense of teamwork and esprit de corps that turns a group of individuals into a real team, and that team into a winning team. “Pretend that every single person you meet has a sign around his or her neck that says, ‘Make me feel important’,” so says Mary Kay Ash the founder of Mary Kay cosmetics and responsible of creating more women millionaires than anyone. This sentiment not only works for customers, but for your employees and teammates and great bosses know this empirically. That's why exceptional bosses make it incredibly easy for employees to offer suggestions. They ask leading questions and they probe gently for clarification and insight. They help employees feel comfortable proposing new ways to get things done or in abandoning the old ways that no longer do. When an idea is not feasible, they always take the time to explain why it will not work at this time, and encourage them to keep making suggestions. Great bosses know that employees who make suggestions care about the company, so they ensure those employees know their input is valued and appreciated. Andrew Carnegie knew a thing or two about teamwork and stated, “Teamwork is the fuel that allows common people to attain uncommon results.” While everyone works for a paycheck, it does not mean they do not want to work for something more. In actuality, they want to work with and for team of people they respect and admire, and with and for people who respect and admire them. Great leadership fosters that teamwork in the form of leadership. One of the greatest football coaches of all time, Vince Lombardi talks about this when he stated, “Leadership is based on a spiritual quality; the power to inspire, the power to inspire others to follow.” He knew want it took to make a championship team work. That is why a kind word, a quick discussion about family, an informal conversation to ask if a colleague needs any help may be much more important than group meetings or formal evaluations. Teams are personal, and a well running team creates a true sense of connection. Exceptional bosses have that leadership ability to appreciate the person, not just the worker, and the individual effort that makes the team work. This is where the concept of a force multiplier comes to play. One of my favorite quotations on leadership is from Lao Tzu, “In wishing to be above men, put yourself by words below them, and, wishing to be before them, place yourself behind them.” What this means, is that in order to get employees to serve you, you must first be a servant to them. Most people can understand a boss who is strict, demanding, and quick to offer (not always positive) feedback, as long as he or she treats everyone fairly. While great bosses understand everyone is different, and act accordingly, they also realize that showing consistency and fairness is the key to getting the respect and agreement from the rank and file. Bosses who play favorites and politics, will never elicit the respect or effort out of their team, no matter what they try to do to encourage them since they see it as self-serving. Nobody is perfect, and few are exceptional. Every employee needs constructive feedback. Good bosses give that feedback but great bosses understand something more. That in order to motivate they understand that praise is what raises the bar. In the words of Dale Carnegie, “Be hearty in your approbation and lavish in your praise, and people will cherish your words and treasure them and repeat them over a lifetime.” They also know that if criticism is warranted, that you ALWAYS do it in private and does not just criticizes, but as a mentor who encourages whenever possible. As the old saying goes, give a dog a good name. Everybody, even a relatively poor performer, does something well. Every employee deserves praise and appreciation. To quote Ovid, “The spirited horse, which will try to win the race of its own accord, will run even faster if encouraged.” It is easy to recognize the best employees because they are continuously and consistently doing awesome things. The trick that great bosses and leaders do is make ordinary people into extraordinary people with a bit a praise and constant encouragement. It might be difficult to find reasons to recognize an employee who simply meets standards, but that is not the point. The object is to make them feel valued, and a few words of recognition, both in private and especially in public, may be the spark an average performer needs to start becoming a great performer. I believe the greatest ability to possess is the ability to find, develop, and promote abilities in other people. A good boss realizes that every job should have the potential to lead to greater things, be it in the group or elsewhere. Exceptional bosses take the time to develop employees for the jobs they someday hope to land, even if the jobs are with another company. They not only support their employees, but give them personal insight on how to further their OWN careers. As the late great actor, Tony Curtis said, “Service to others is the rent we pay for time on this earth.” So, how can that great boss serve the greater well being of their employees? Well, a good start is to ask what he employees hope to do someday. Employees will only care about you and your business after you first show you care about them. One of the best ways to do so is to show that while you certainly have hopes for your company's future, you also have hopes for your employees' futures as well. A good boss might pay lip service to this, but an exceptional boss will go out of her way to help in the development and expansion of every person’s potential.